We are fortunate and grateful that God has called a succession of De La Salle Brothers who gather committed people to carry on the work and ministry that Brothers Damian Lundy, Dominic Green and Joseph Hendron began some forty years ago with a few faithful people. It is a blessing that every year since a residential community continues to share their vision for a new apostolate – a retreat centre for young people. At St. Cassian’s, Kintbury, we rely on the De La Salle Brothers for a large portion of the resources needed to pay for programme activities, staff and site maintenance. We also draw from other sources of support, including charitable foundations and trusts, as well as income from fees for services and residential costs. As a Lasallian Community, inspired by St. John Baptist de La Salle's writings and experience, we recognise our responsibility to serve and make known the Gospel of Jesus Christ. ​we begin in earnest a fundraising campaign, which we hope will grow in momentum. Our fundraising challenge is ambitious, especially with so many more worthy causes rightly competing for funding. We ask you to consider supporting us in order for us to sustain and develop our work, mission and ministry . . .
We would greatly value your prayers for the ministry of St. Cassian’s. Prayer underpins everything we do at St. Cassian’s. Prayer is what feeds us, sustains us and allows us to reflect on our own lives and the lives of others in the presence of God. 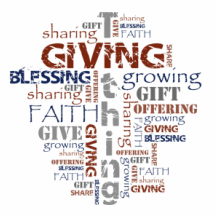 To develop further our ministry there is a need to generate additional funds each year and so we ask you to consider supporting us financially. There are a number of ways in which this can be done. Send a cheque or postal order directly to St. Cassian’s Centre. Please make payable to ‘De La Salle Kintbury Development Account’. Please do not send cash, unless it is by registered post. Address details are below. If you would like to donate on a regular basis by Standing Order, please complete the relevant form (by clicking here). One copy needs to be sent to your bank and another to St. Cassian’s Centre. ​Please click on the ‘Virgin Money Giving’ banner to make a donation to St. Cassian’s. you can do this through our Virgin Money Giving website. This will enable sponsors to give online and help you publicise and manage the event. ​For fundraisers who want to ‘give on the go’ an app is available to download on the website to help keep users close to their fundraising efforts. Please get in touch if you need more information or help. Whenever you buy anything online – purchasing one item, your weekly shop, a holiday break and more – you could be generating additional income for St. Cassian’s without costing you a penny extra! For us to benefit you simply need to click on the ‘Easy Fundraising’ banner and sign up for free. You can also download the ‘Easy Fundraising’ app which offers a convenient way to raise free donations on your phone or tablet. ​so that we can reclaim tax on any gift you make in future. in helping us sustain and develop our work, mission and ministry.